All Pearce homes currently listed for sale in Pearce as of 04/25/2019 are shown below. You can change the search criteria at any time by pressing the 'Change Search' button below. If you have any questions or you would like more information about any Pearce homes for sale or other Pearce real estate, please contact us and one of our knowledgeable Pearce REALTORS® would be pleased to assist you. 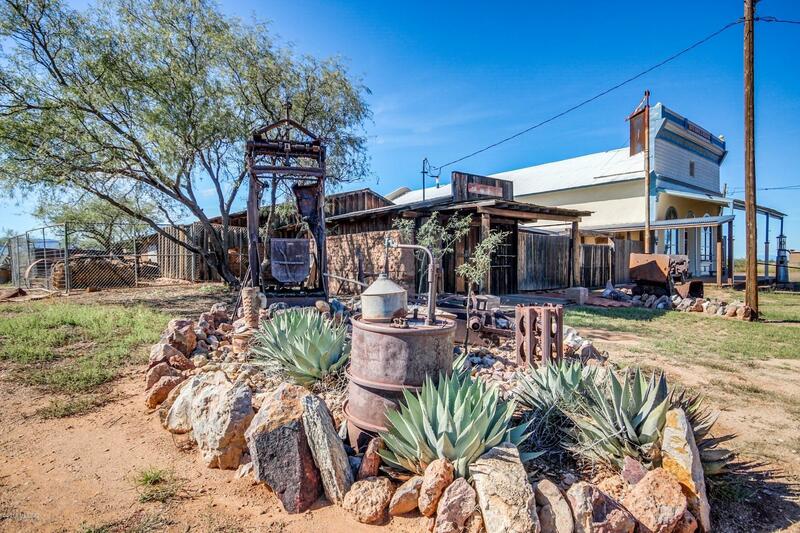 "HISTORIC PEARCE MERCANTILE- This pristine Historical property is a ''one of a kind'' located in the center of Cochise County at a gold mining camp destination. It was a central point for ranchers, farmers and homesteaders to purchase their supplies during the gold rush era. The building is renovated and restored to preserve its integrity. It houses a full one bedrm apartment with kitchen and beautiful great room that leads out to a large private stucco fenced courtyard and sitting area on nor"
"WALK OUT YOUR BACK GATE INTO THE CORONADO FOREST, almost 500' of direct access to this wonderland of rolling grassland, thick oak, Juniper, & pine forest, granite domes & sheer cliffs. 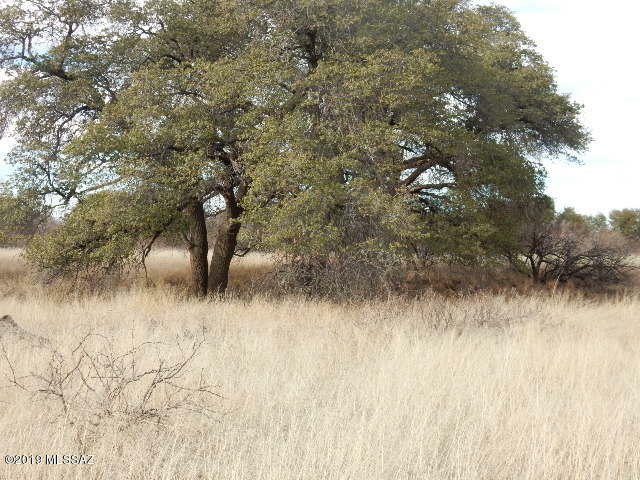 Breath taking 19.31 acre on the East-side of COCHISE STRONGHOLD in the Dragoon Mtns. Premier birding, hiking, wildlife, & history. High desert climate makes for cooler summers & mild winters. These highly sought after spectacular property are rarely available. 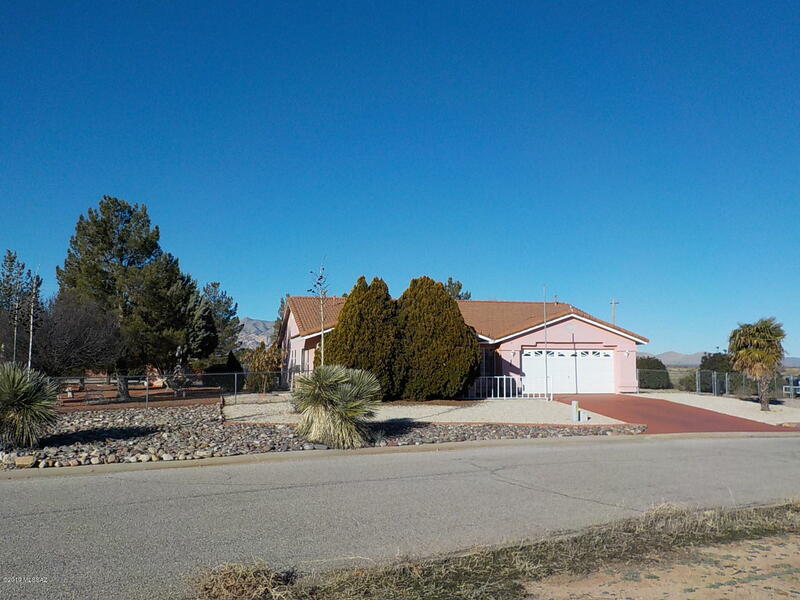 Secluded but within minutes to small town amenities, m"
"This open and spacious, one story, log cabin is located on 10 acres at the base of the Dragoon Mountains with panoramic views of Grape Vine Canyon and state and federal land (west side). The main home is 2949 sq. ft, has 3 bedrooms, 2.5 baths. Master bath has jetted tub, double sinks and separate shower. Also new wood ceramic tile in the master bedroom. The huge bonus room could easily be a 4th bedroom, wood burning fireplace, granite counter-tops in the open kitchen, walk in pantry. Skylights a"
"HORSE PROPERTY WITH MOUNTAIN VIEWS! 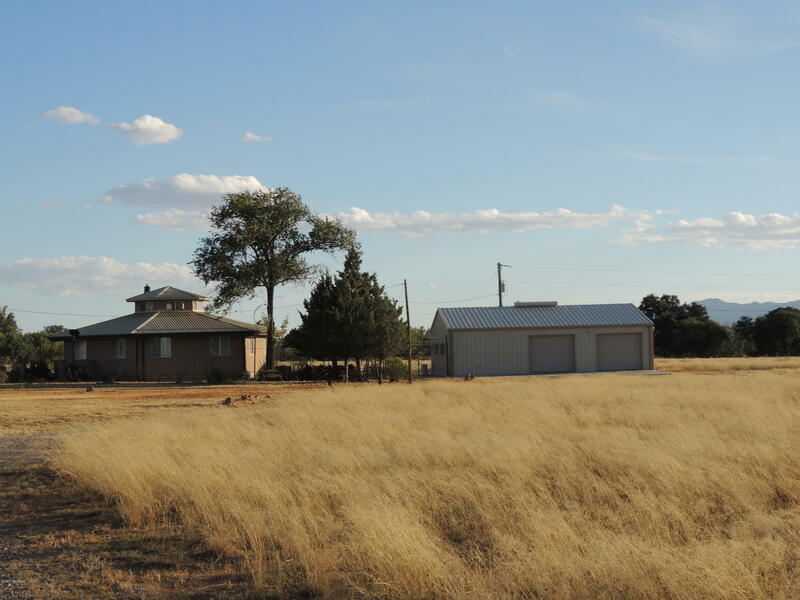 You will be amazed with the natural beauty of this 54+ acres that sits among the oaks on Rock Creek in the foothills of the Chiricahua Mountains next to a well know vineyard. The octagon home is beautiful & unique. It includes 2 BR/1BA. Seller has added a Mueller 40x35 3 car garage/workshop with attached 15x40 Guest suite with full bath. Fabulous flagstone patio. The views are magnificent and 360 degrees. This is wine country at its best! The seasonal creek fl"
"Country living with room for the kids, dogs and horses too. Endowed with country charm. 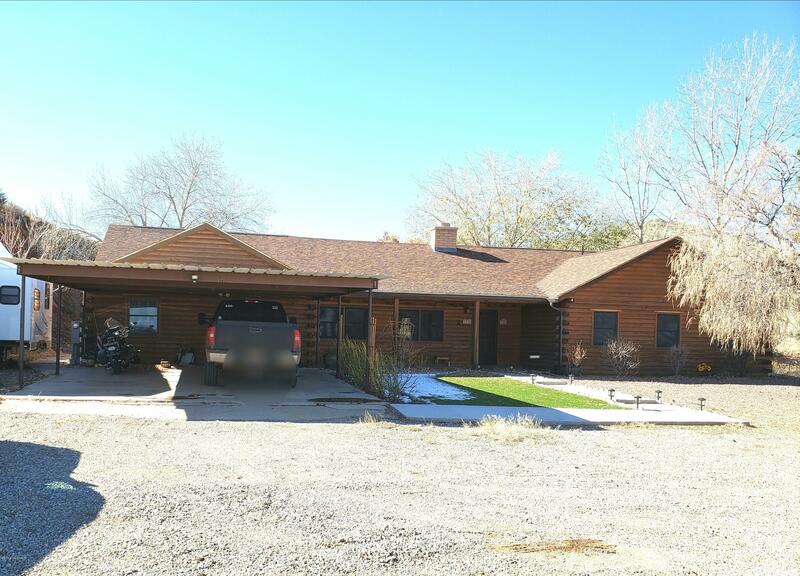 Beautiful Ranch style home on 40 acres, private well, fenced and crossed fenced with horse facilities ready for your animals. Beautiful mature shade trees and 2 covered patios with views galore. Call today." 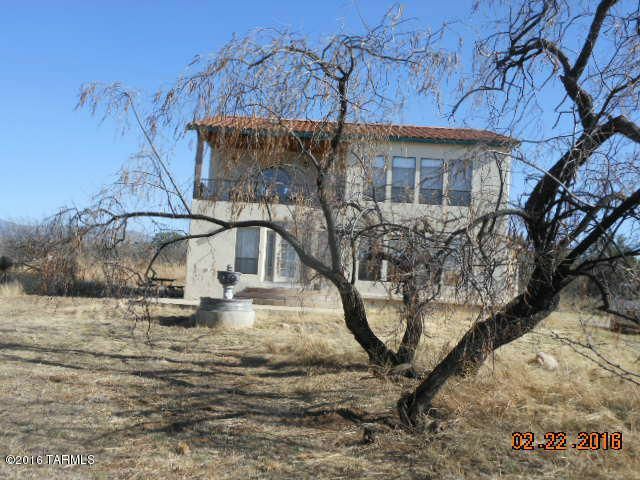 "Location , Location, Location 40 Acres at the Base of the Chiricahua Mountains with large Oak Trees , Sycamores, Mesquites. Build your forever home. Property sits next to Rock Creek and in the riparian area of the Creek . Fenced and crossed fenced with 2 wells, Electric to old Mobile Home on property . 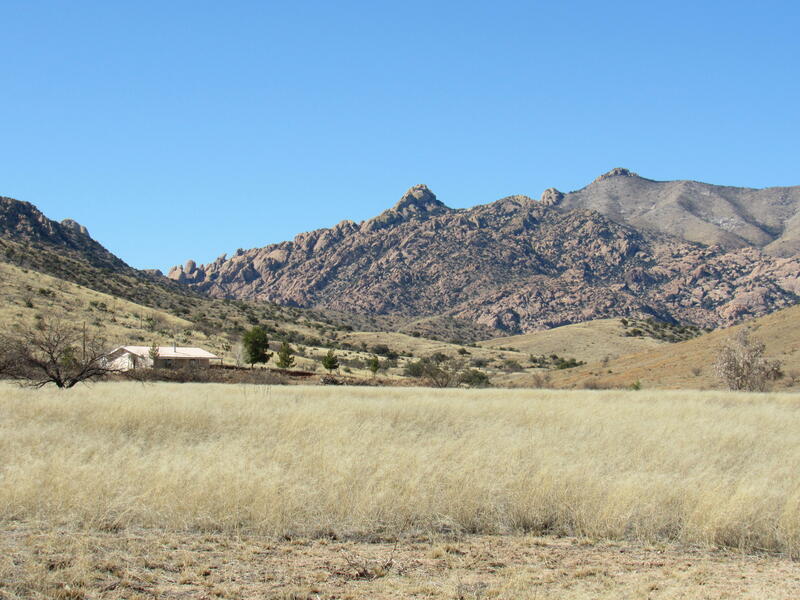 Spectacular views of the Chiricahua Mountains . Small Covered Barn Area with Horse Pens." 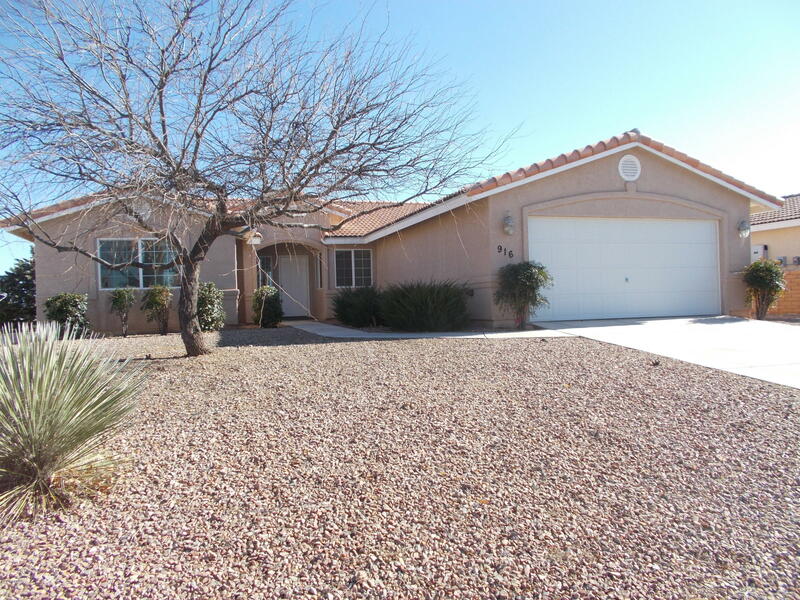 "Well maintained beautifully landscaped 3 bedroom 2 bath home. From the moment you walk in you can feel the openness. You enter into the large family room with cathedral ceilings. from there you head to the formal dinning area. The kitchen is very functional with plenty of cabinet space and a dining area. Laundry room and garage door are just off the kitchen. The bedrooms are nice sized with large closet space. The back yard has a couple of cement patio areas and a park like court yard with so"
"Luxurious home located on a corner lot in town Sunsites. Well maintained. Upgraded appliances. Chandeliers. Walk in CLoset. Gas fireplace. Metal roof, low maintenance yard. Shaded patio. 3 car garage with lots of cabinets for storage. Central AC. Put this lovely home on your ''Must See'' list!" "STUNNING--QUALITY 1,851 SQ. FT. 3 BEDROOM, 1 3/4 BATH HOME--TILE ROOF--NEWLY INSTALLED IN FEB. 2019, SEALED & POLISHED GRANITE COUNTER TOPS IN KITCHEN ALONG WITH NEW FAUCET & 16 GAUGE STAINLESS STEEL KITCHEN SINK--VERY SPACIOUS FLOOR PLAN-- 2 CAR GARAGE--COVERED REAR PATIO--LOW MAINTENANCE LANDSCAPING IN FRONT & REAR YARD--GREAT LOCATION IN THE COMMUNITY OF SUNSITES--THIS HOME WAS FORMERLY A MODEL HOME." 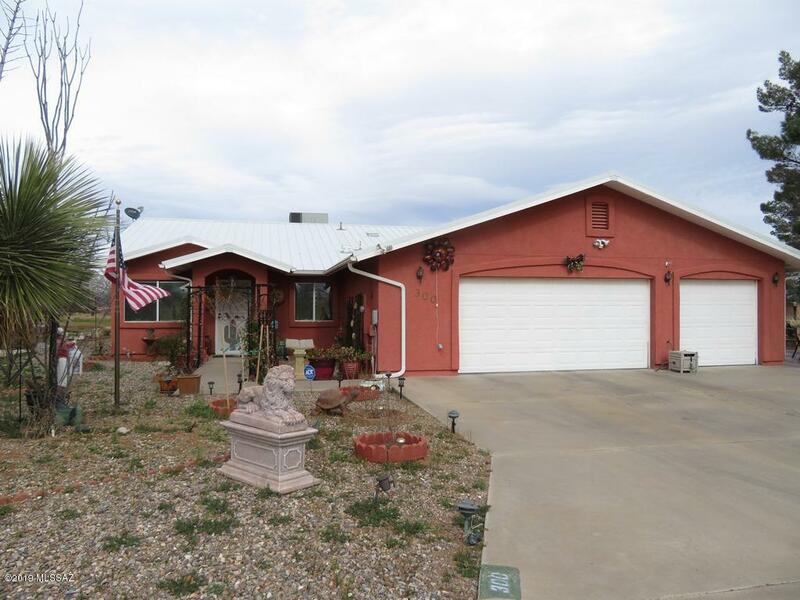 Listing #21805425 Cochise County Realty, Inc.
"GORGEOUS 2 STORY,2 BEDROOM 2 BATH TUSCAN STYLE HOME. HAS 1000 SQ FT BASEMENT. AT THE BASE OF THE CHIRICAHUA MOUNTAINS In S.E. ARIZONA OFF STATE HIGHWAY 181. HAS BEEN USED AS A VACATION HOME AND A BED AND BREAKFAST. THE HOME IS COMPLETELY FURNISHED. ELEVATION IS AT 4,300' AND MAKES FOR COOLER SUMMERS. TURKEY CREEK RUNS TO THE SOUTH OF THE PROPERTY." "Upgraded home in the Sunsites Community, Spectacular Mountain views with large Green Space in rear. Newer construction with lots of upgrades. Listing Agent is owner. 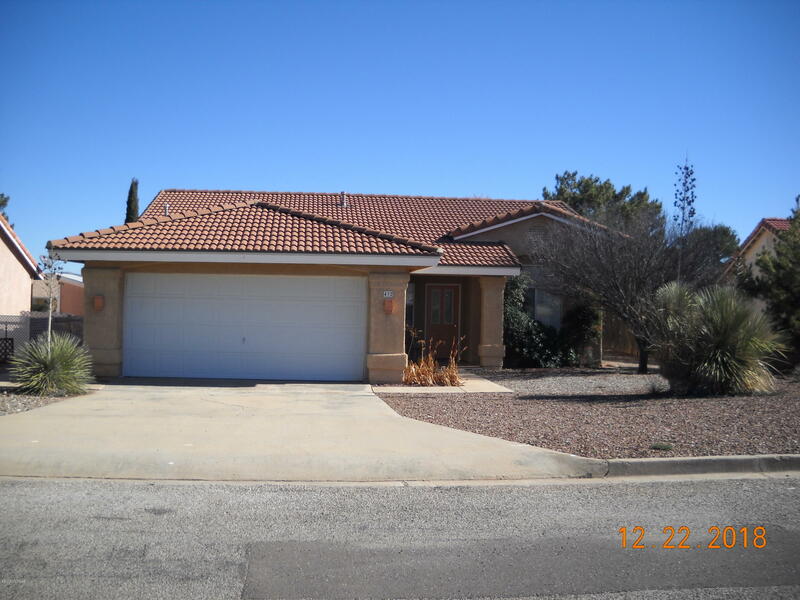 Confirm with a lender what loan programs this property qualifies for." "Newly re-modeled home in Sunsites Village. New metal roof. Low maintenance yard. Large kitchen center island and new tile floors, all new appliances. Wood burning fireplace in living room, nice open floor plan plenty of space for family to entertaining. Nice sized bedrooms with large closets. 2 car garage. A must see home and priced to sell." 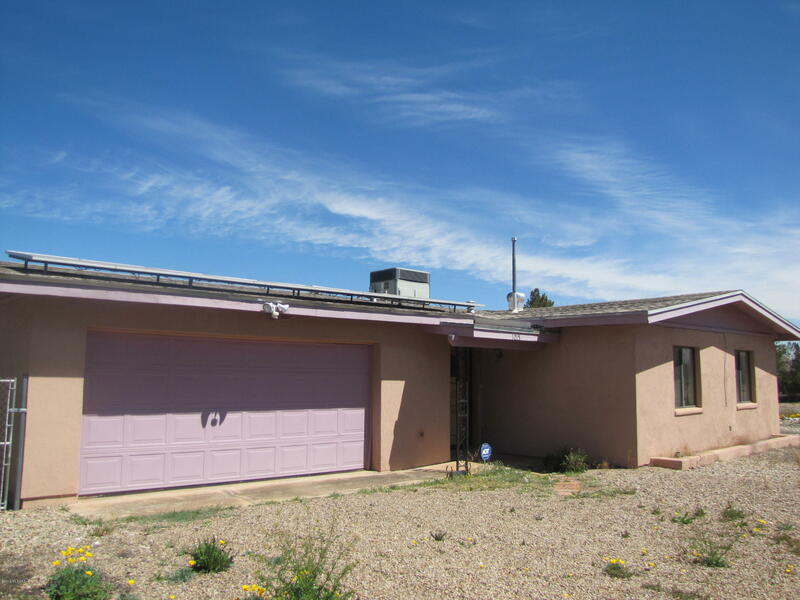 "This 3 bedroom 2 bath home has very large rooms through-out. The Great-Room is just off the front foyer. From there you enter into the Kitchen / Dining area. The kitchen has plenty of room to move around and a very large breakfast Bar. It is centrally located to the Dining area and the Family Room. Great area for entertaining. There is a very relaxing Arizona room just off the Family room. The property around this home is landscaped perfectly. Large covered patios, low maintenance and plenty o"
"Seller motivated! Meticulously maintained 3 bed/3 bath delightful home. Huge picture window in lv rm, built in solid wd bookcases, special dbl sided fireplace opens to the lg dining rm. Kit appl incl. Efficient pantry w/pull out shelves & outlet. Front has 2 bed/2bath, one is 15'x13' w/ ensuite. The rear of the house is designed as a mother-in-law suite, could be a family rm, office, or master bedroom. 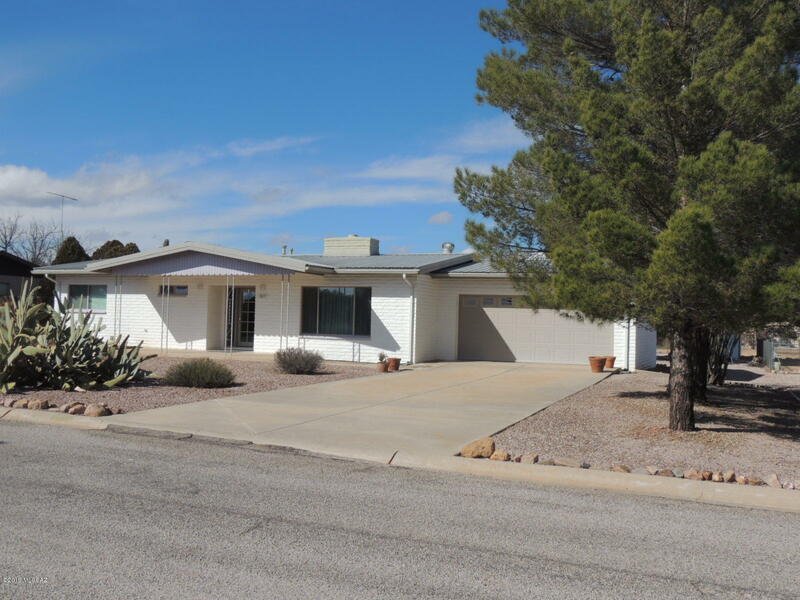 This 15 1/2' x 22' space also has a bathroom w/an impressive roll-in shower, dble vanity, & en"
"Very nice well maintained home in a great neighborhood. Very peaceful and quiet.Home has many upgrades including dual pane windows, metal roof, re plumbed, flooring, doors, new garage door, etc. Has a large storage building with electric, could be a craft room, exercise room or man/women cave. 2 car garage is extra large. Also has a beautiful 2 sided wood burning fireplace for those chilly nights and a wonderful screened in Arizona room - great for entertaining. Call today for appointment"
"Wow! What a location. Very difficult to find small, classy cabin on 5 Acres that abuts the Federal Forest to the West and State land to the North/East. Wonderful get-away, hunting cabin or small home. Has New Well and Septic when home was build in 2016. Home is being sold Turn-key with all furnishings. Plus a 1995 Pathfinder. 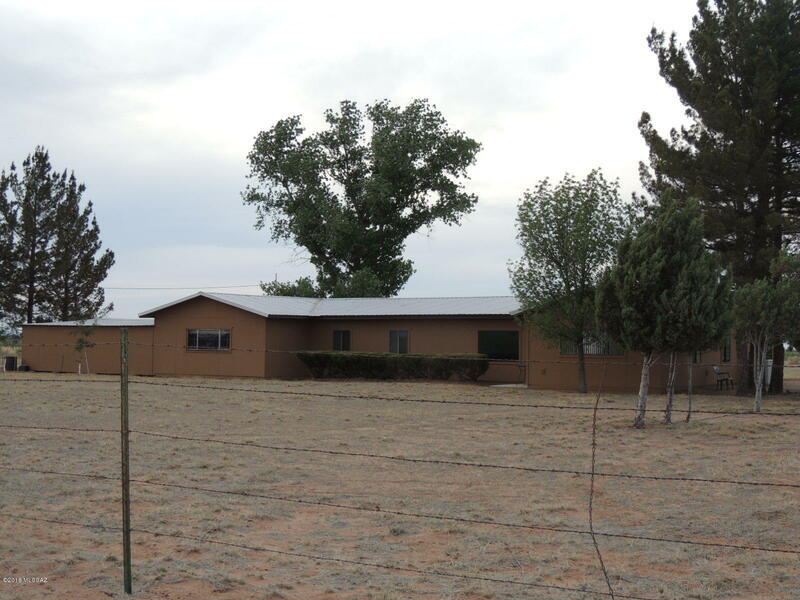 Wonderful horse property.Located in the base of the Dragoon Mountains/Cochise Stronghold. Home operates on Solar panels with generator. 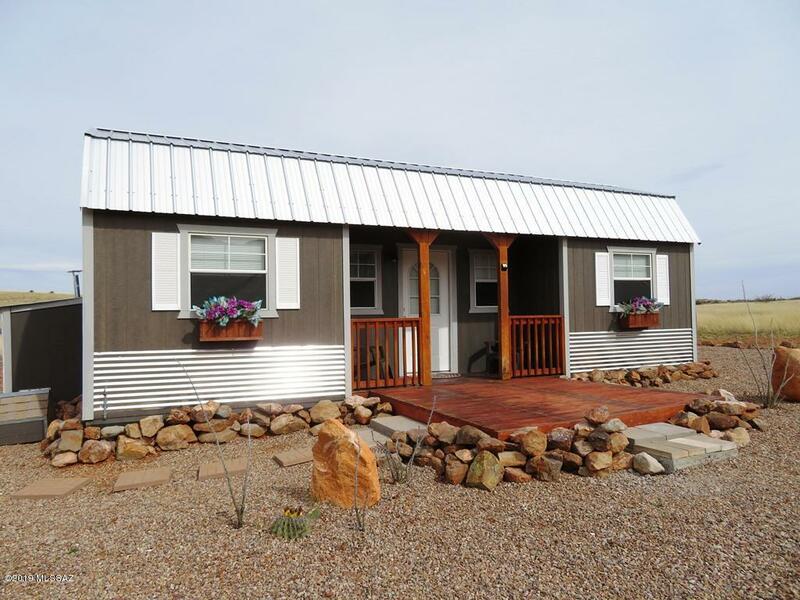 Cabin has eat in kitchen, living r"
"Lovely remodeled 3 bedroom 2 bath home with an extra large 2-car garage on corner lot. Formal living & dining room with huge family room. Wood burning FP with blower for those chilly nights. 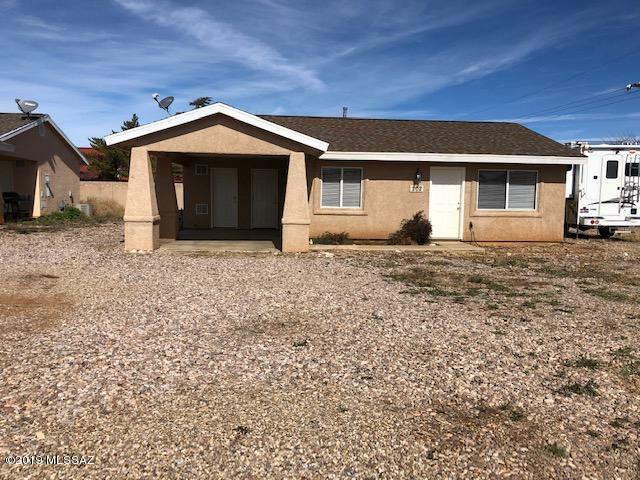 ALL NEW ITEMS IN HOME ARE: plumbing, carpet & tile flooring, security screen door, paint, ceiling fans throughout, two water heaters on each side of home, granite counter tops in both baths, custom window shades throughout, kitchen cabinets and built in microwave. Sale includes new top of the line washer/"
"Clean and Bright, freshly renovated home in Sunsites. Large master bedroom. Bonus room- Large Den. Covered back porch. Large shade trees. Chain link fenced back yard with double gates. Concrete pad in back yard for RV or Shed/shop. Metal roof. Quiet street. Move in ready. Tons of updates! Pex water lines. roof 3 yrs old. furnace 3 years old. Evap Cooler 1 season old. New counters, flooring, light fixtures. Updated electrical and bathroom. New gutters. Home warranty included. A must see! 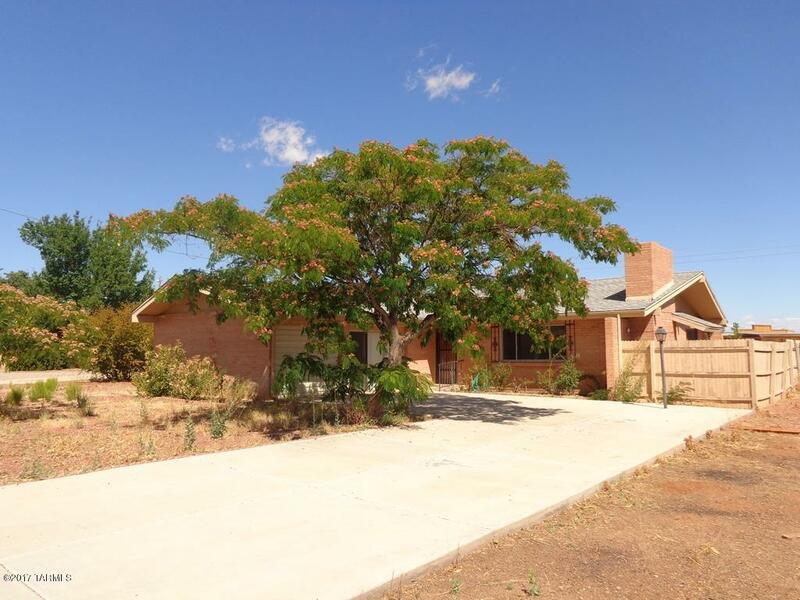 Seller/A"
"Two BR/2Ba home situated on corner lot. FP in living room. Walk-in tub in guest Ba. Two car garage with lots of storage + storage shed in fenced backyard; alley access. Solar panels on roof though system not in use. Sewer line from house to main line to be replaced prior to closing. 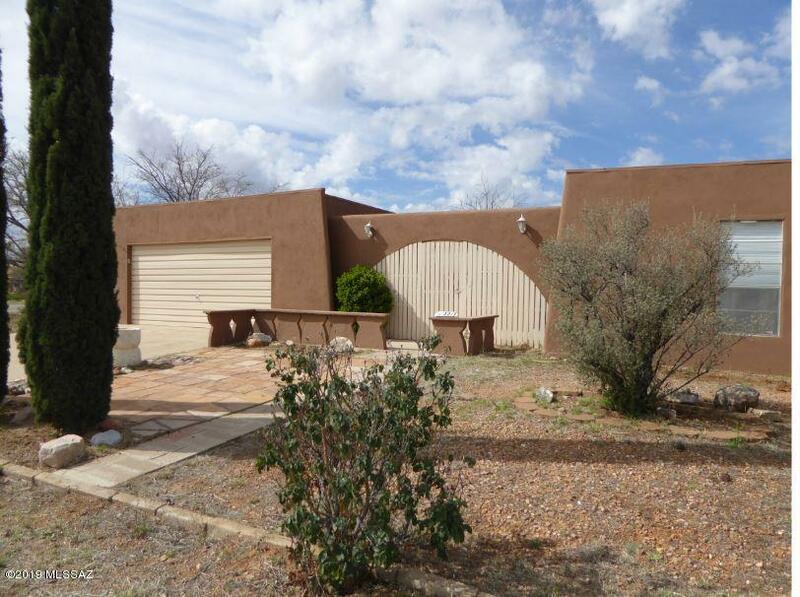 Not far from amenities in Sunsites, with easy access to Hwy 191 and I-10." 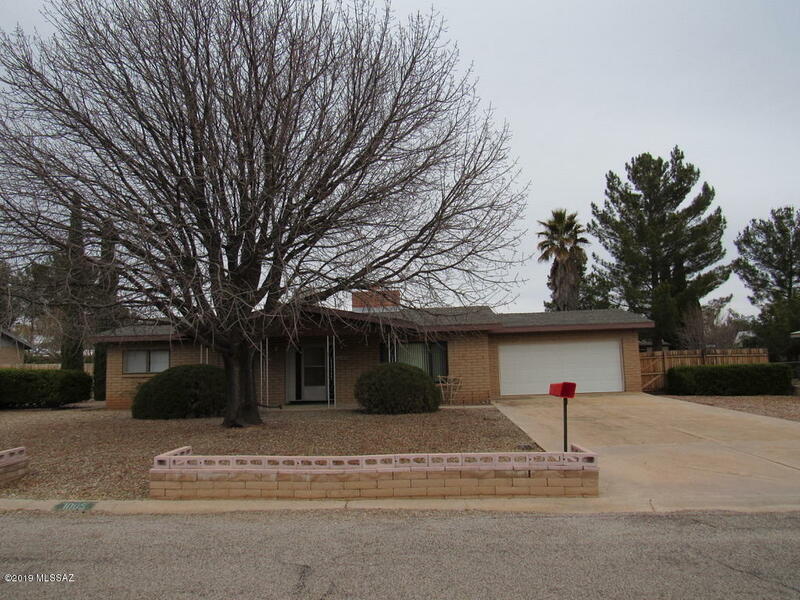 "Nice 2 bedroom, 2 bath brick home with AZ room and Gas fireplace. Owner has just installed new flooring! Home has good square footage with large living room. Arch-way in dining room. Concrete driveway was poured new in 2012. Arizona Room. Fenced yard on quiet street. Home is currently a rental. It would be a great investment property. If you do not want to continue to rent the home, tenants will need 60 days notice to vacate." 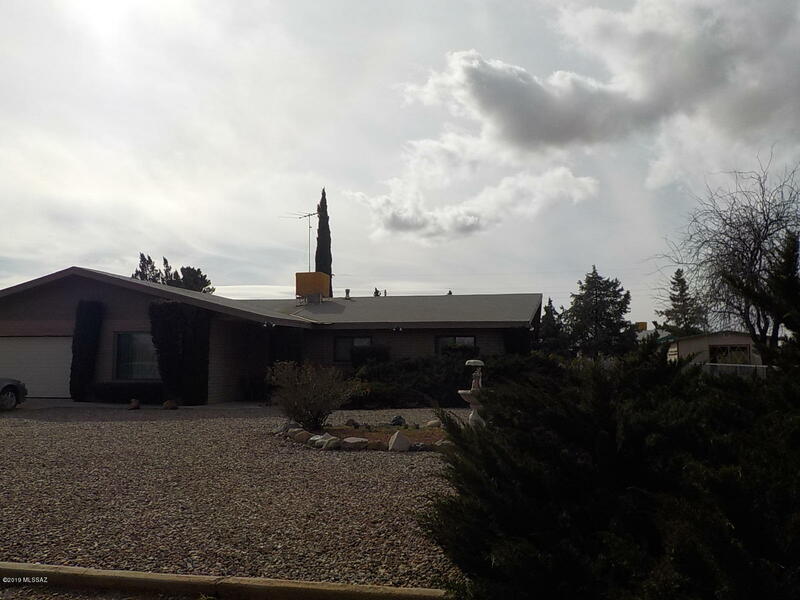 "This charming 2 bedroom 1 and 1/4 bath home on a corner lot is a home. 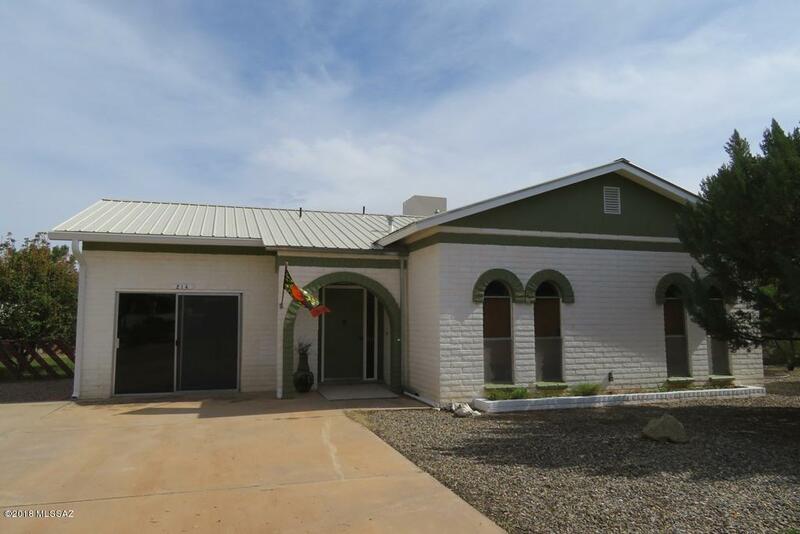 With 2 Arizona rooms, a garage, carport, RV cover, shop, storage room, and so much more all on this property. This homes backyard is nice a private with trees all around and completely fenced in. The kitchen has new flooring and new paint. Great little home for someone or a nice investment for a rental." 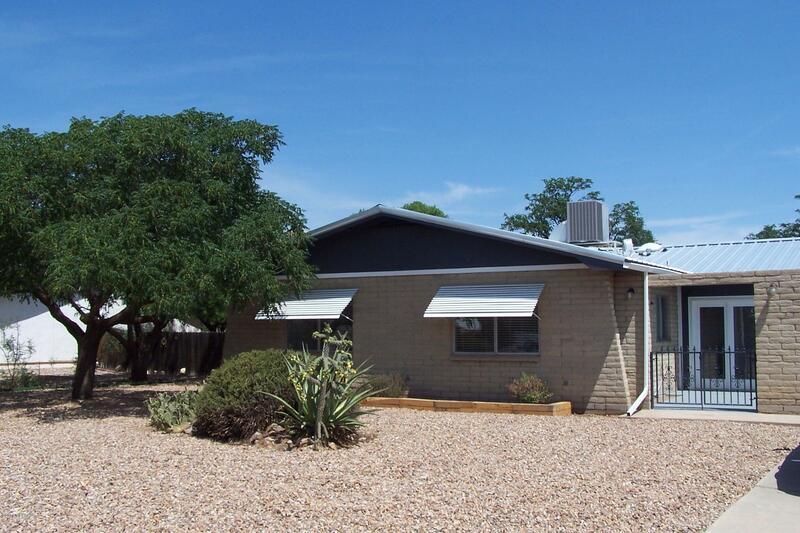 "Low Maintenance, Nicely Maintained 2 bedroom, 2 bathroom Home in the Heart of Sunsites. 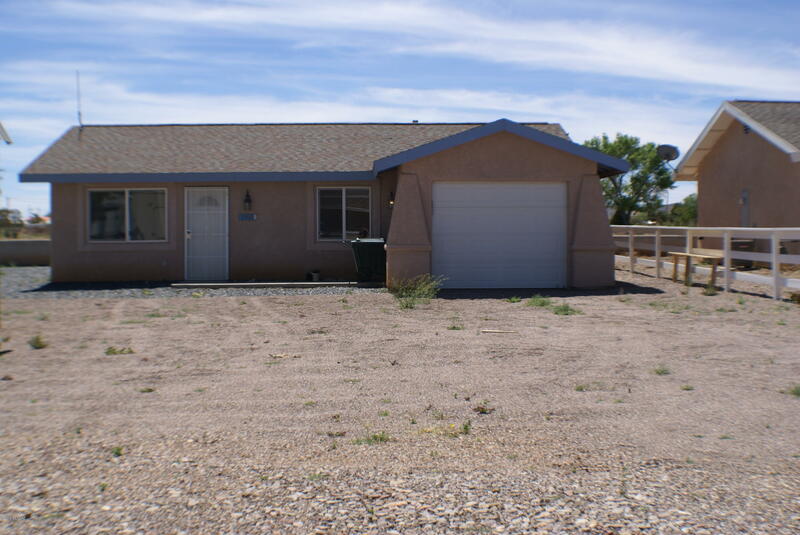 Home is turn key ready and comes with the Refrigerator and Washer and Dryer. Property is fenced and yard is all gravel. Large storage shed as loft space and is perfect for Art Studio or Workshop." 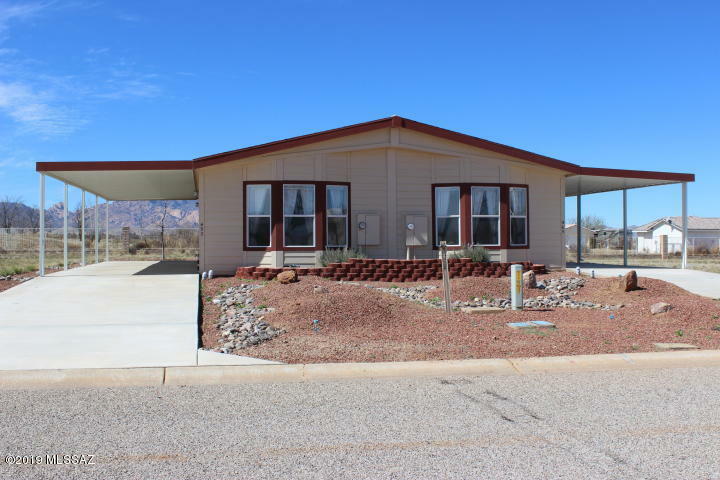 "Fully tiled 2 bedroom, 2 bathroom Frame/Stucco home includes all appliances including a stackable washer/dryer, gas oven/stove, dishwasher, air conditioning and carport. Currently used as an income property but would make a nice summer home or snow bird location. New interior paint, low care landscaping, library, churches, shopping and medical services are all conveniently located. In addition, there are 5 income producing storage units on site.."
"INVESTORS THIS IS A MUST 2 New Duplex Townhouse in Sunsites Village. Open floor plan with One bedrm/one Bath in each Duplex . 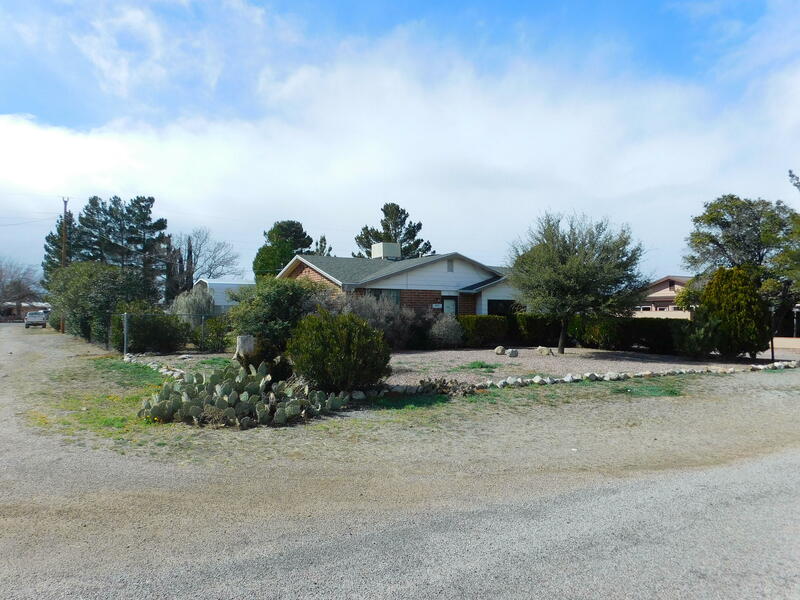 Great views of Cochise Stronghold and surrounding mountains. Quiet Street. 4 additional lots included with this Townhouse on south and north side of carport.. Zoning allows for garage,another house or other buildings. You have a total of 6 lots and 2 duplexes. Each lot has Sewer, water and electric and phone at the lot line. Minimum fees to connect"